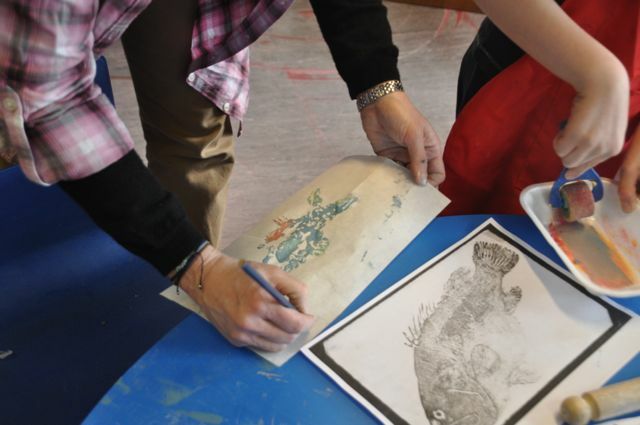 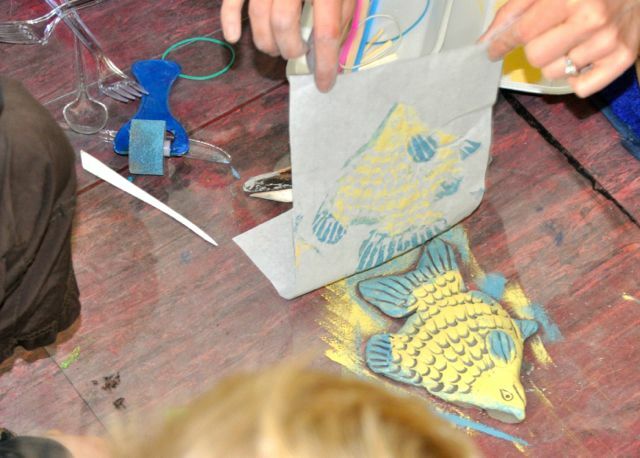 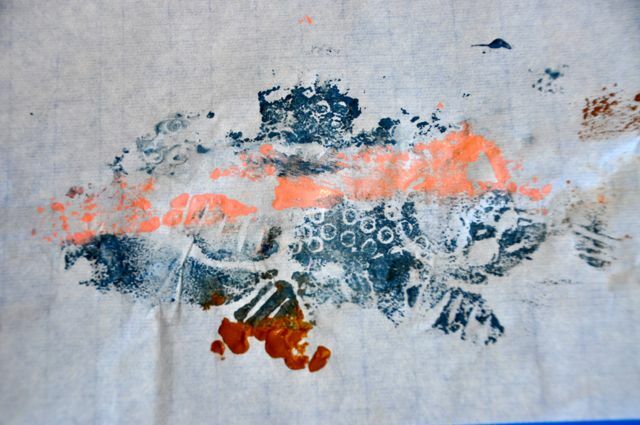 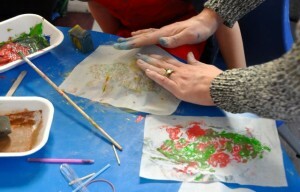 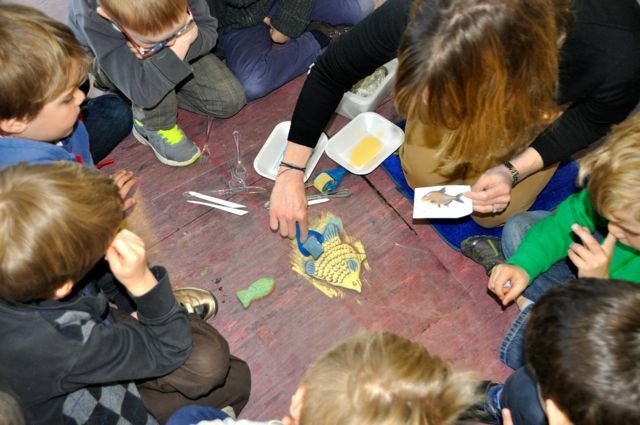 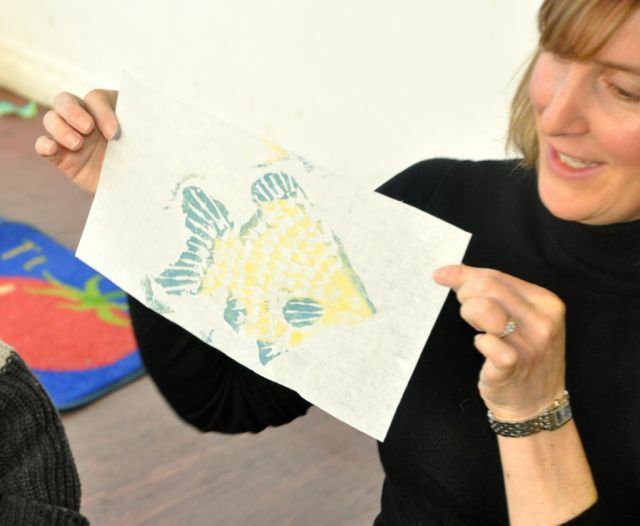 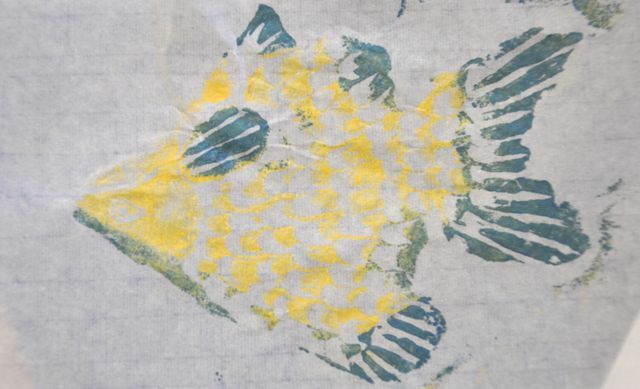 For our younger children artist Louise Pasquill introduced the children to the ancient art of Gyotaku. 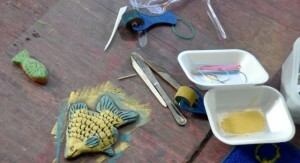 A technique once used by fishermen in Japan to identify fish! 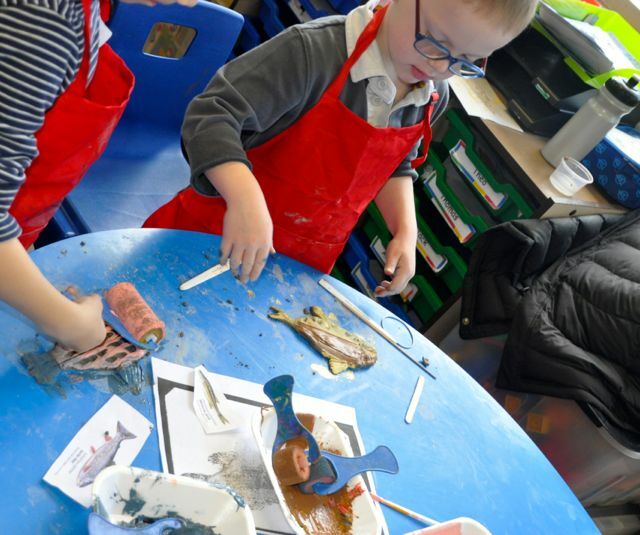 Don’t forget to look at what we got up to in Day 1. Louise showed the children how to make clay fish, concentrating on adding texture to the surface using a variety of tools. 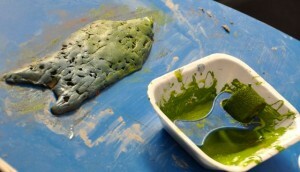 Different colours were added to the wet clay using a roller. A sheet of rice paper was carefully laid on top of the fish and pressure applied with the tips of the fingers. 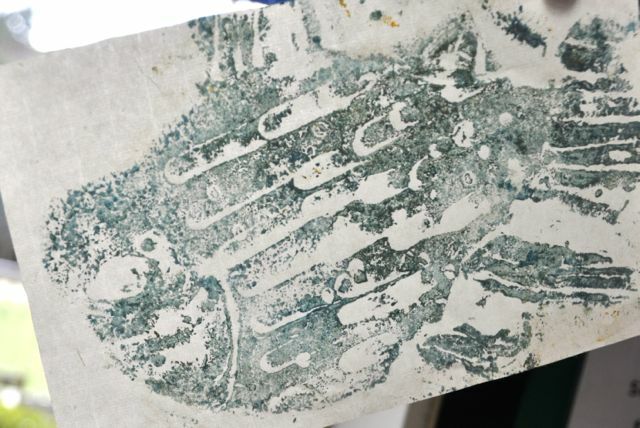 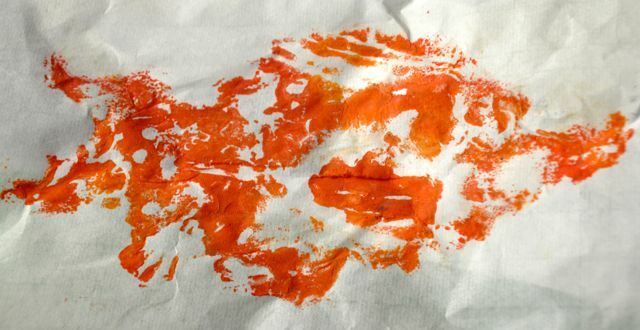 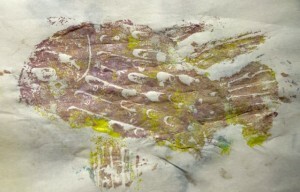 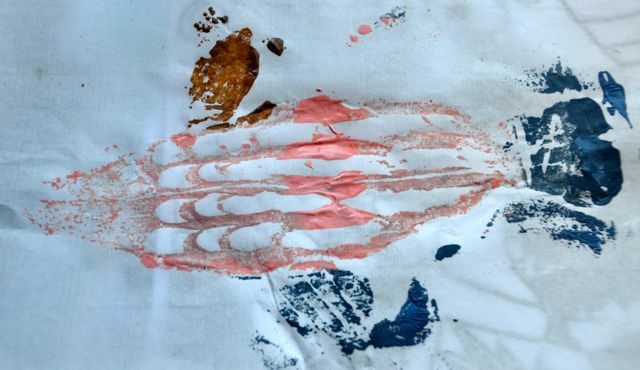 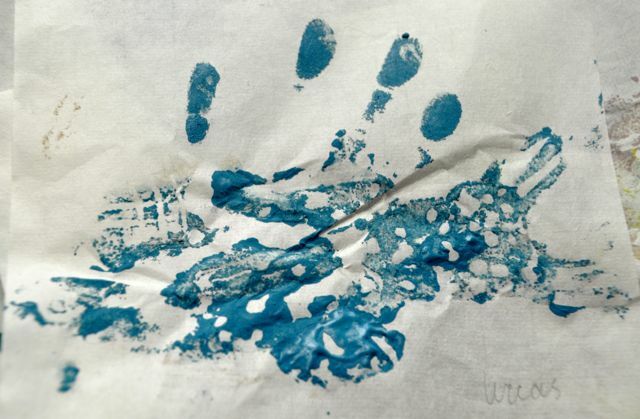 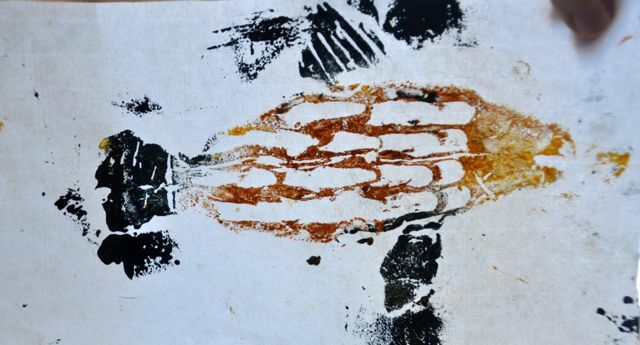 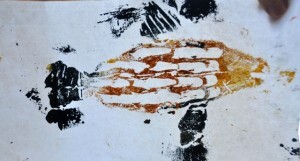 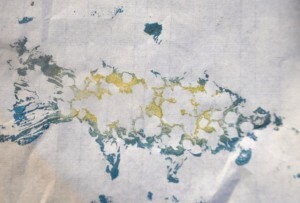 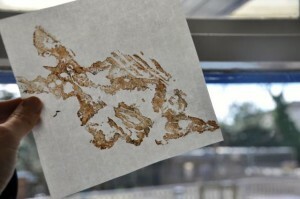 The paper was lifted to reveal a delicate print of the fish. 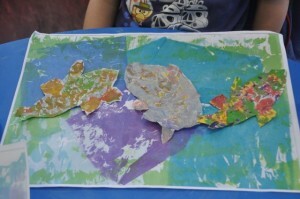 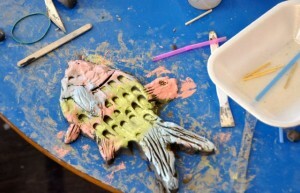 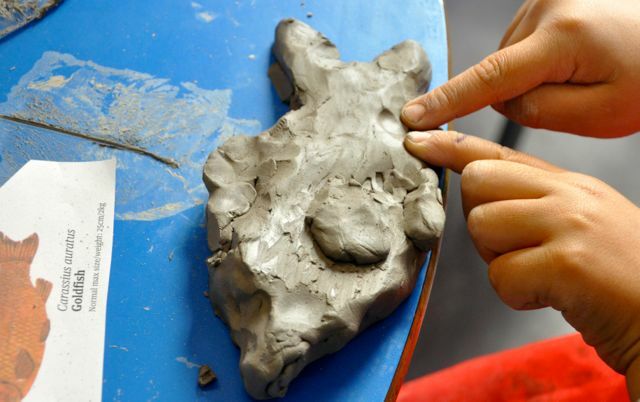 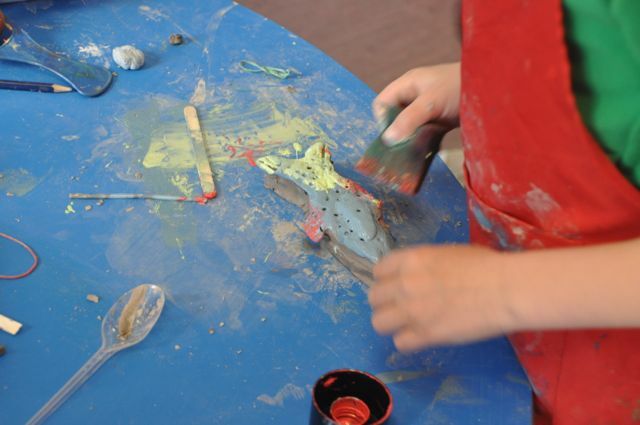 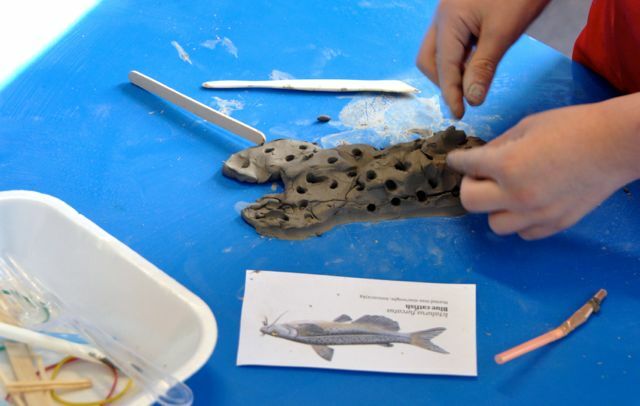 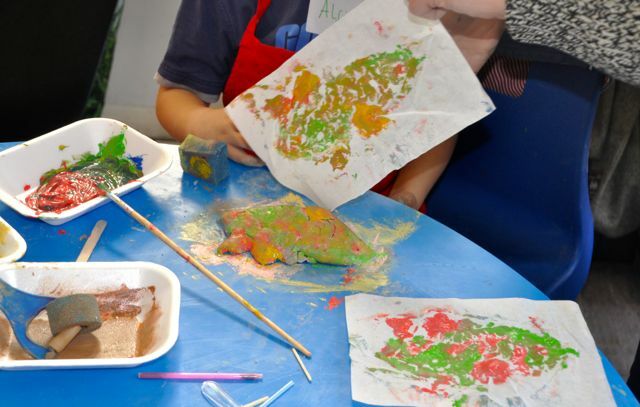 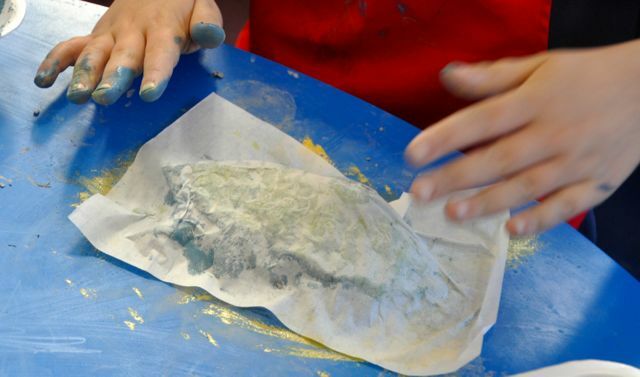 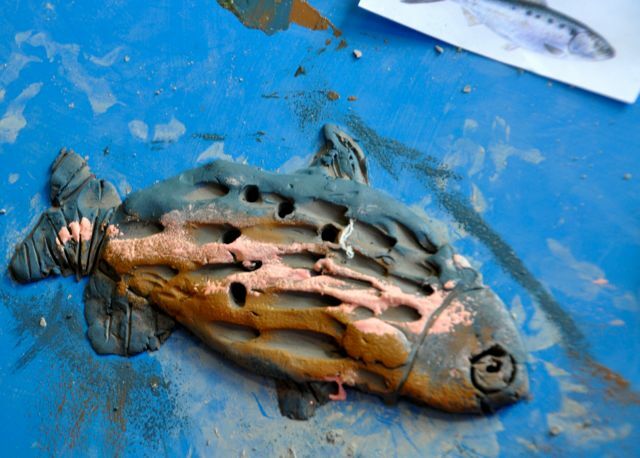 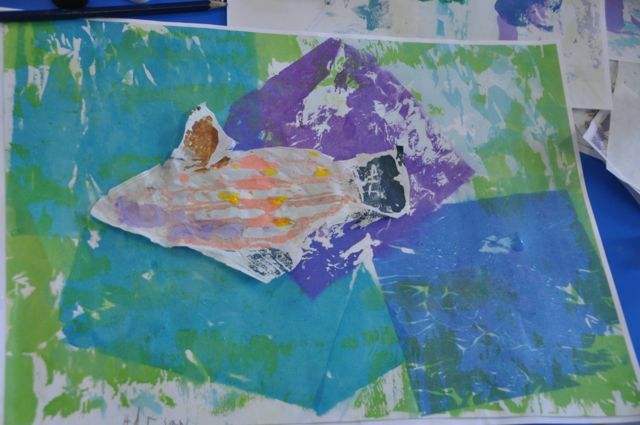 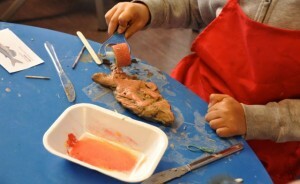 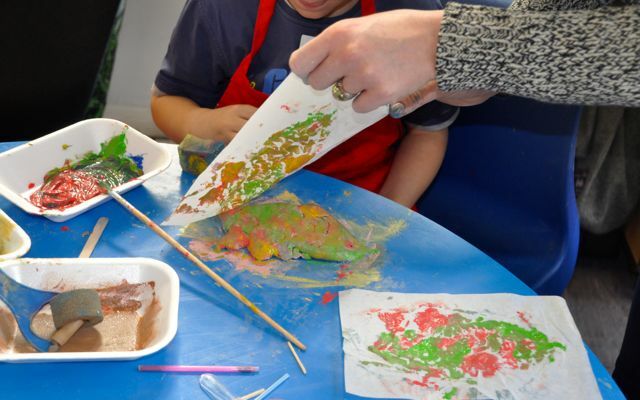 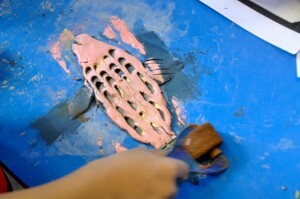 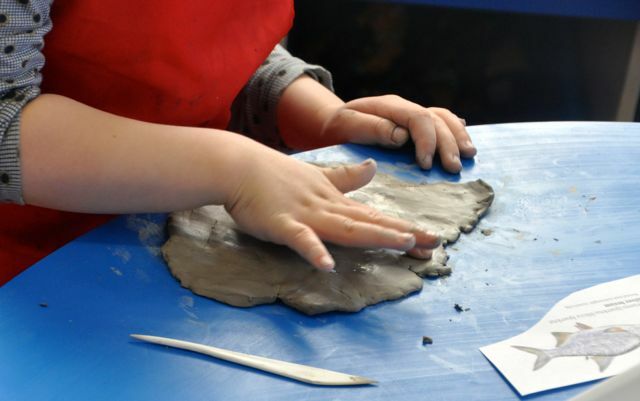 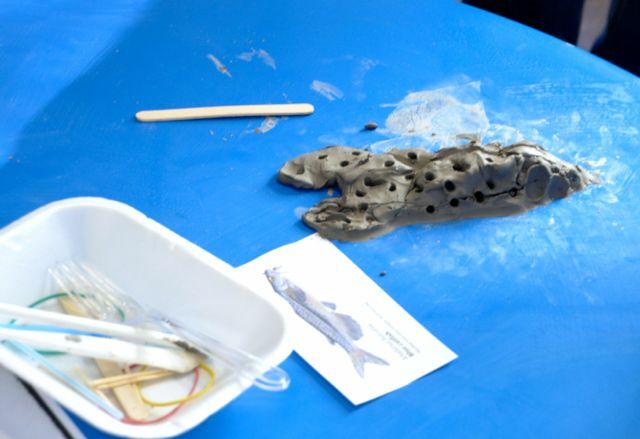 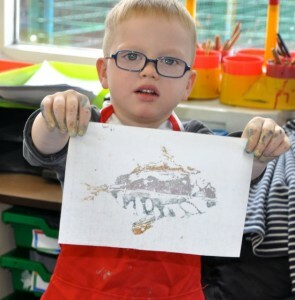 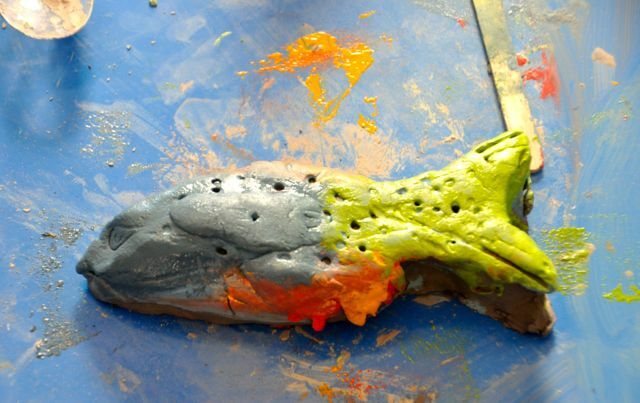 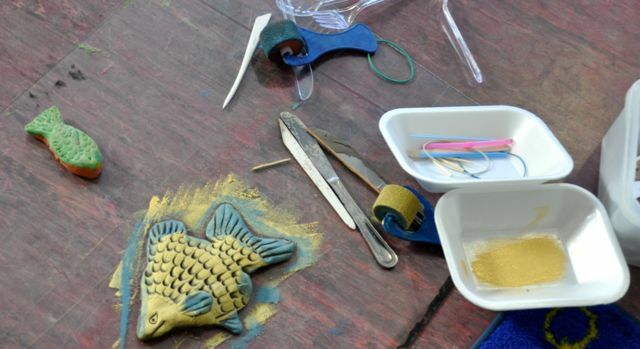 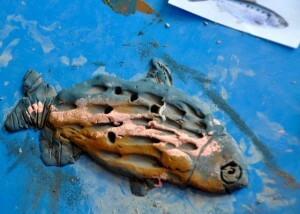 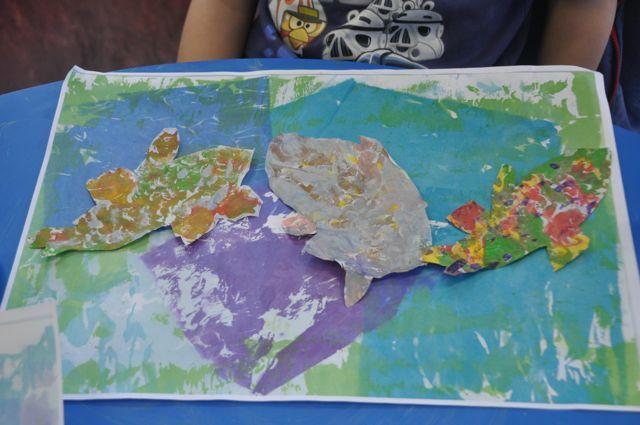 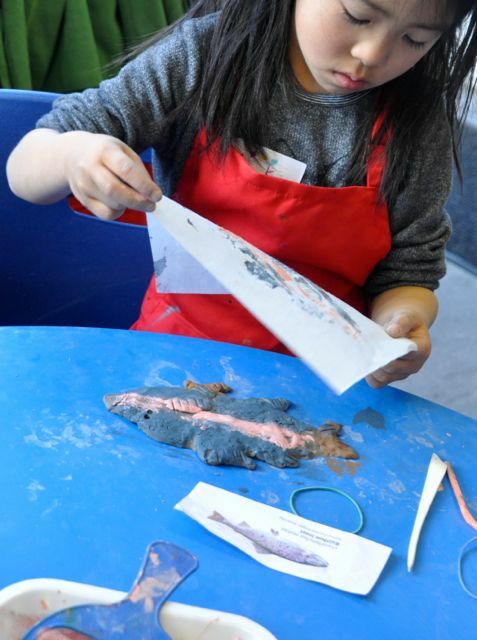 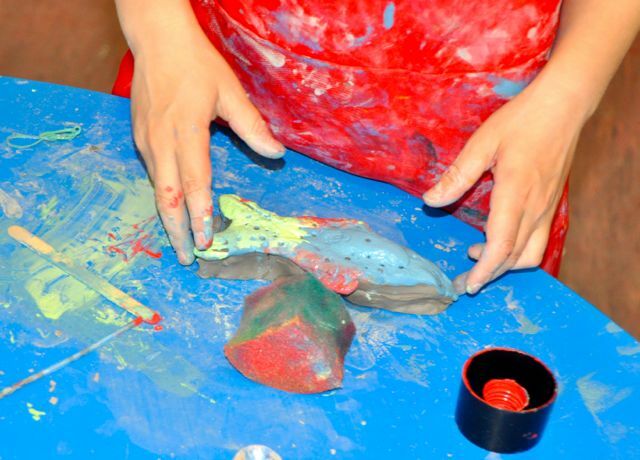 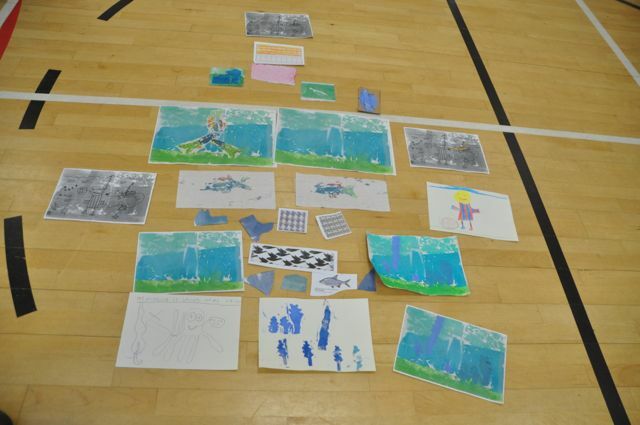 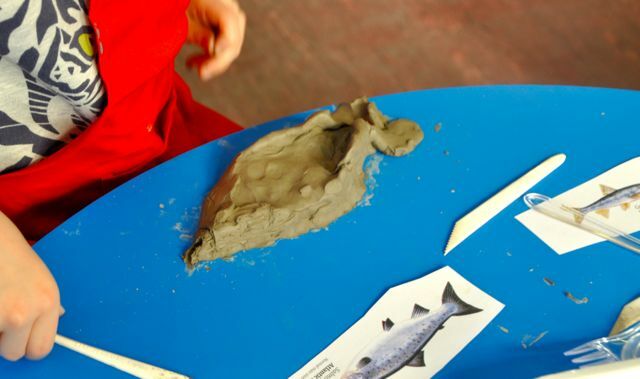 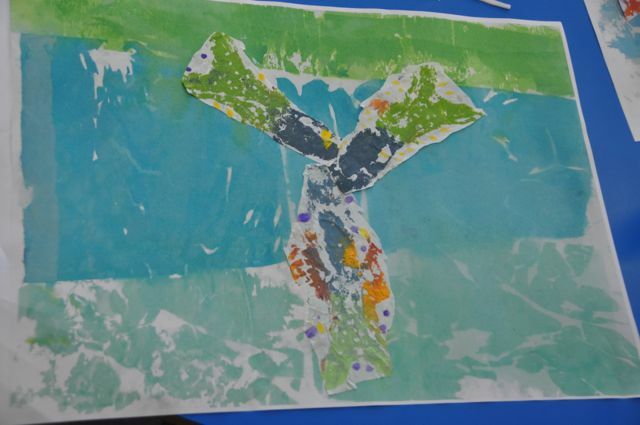 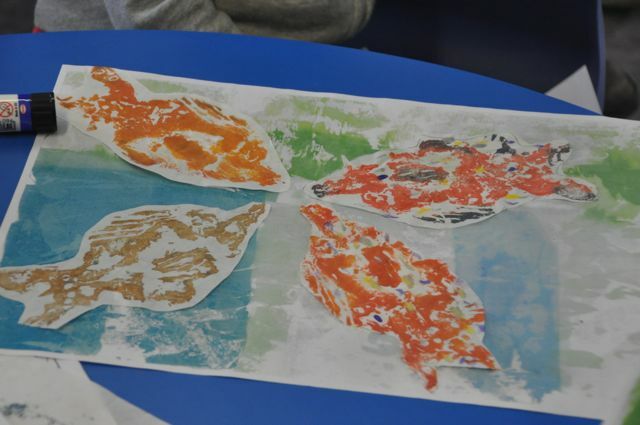 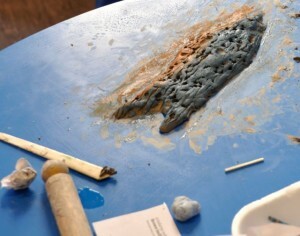 Children experimented using clay to make their own fish, using print outs of different types of fish as inspiration. Layers of paint were added with the roller. 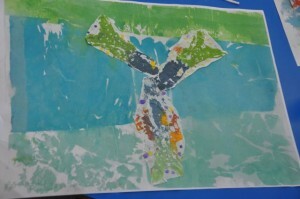 Beautiful combinations of colours were used. It was magic every time the paper was lifted. 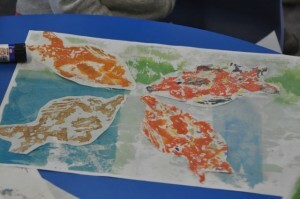 The rice paper picked up lots of different textures. 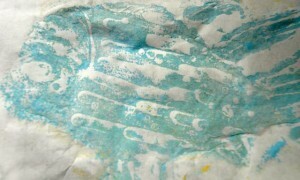 The magic moment when you lift up the paper gets me every time!! 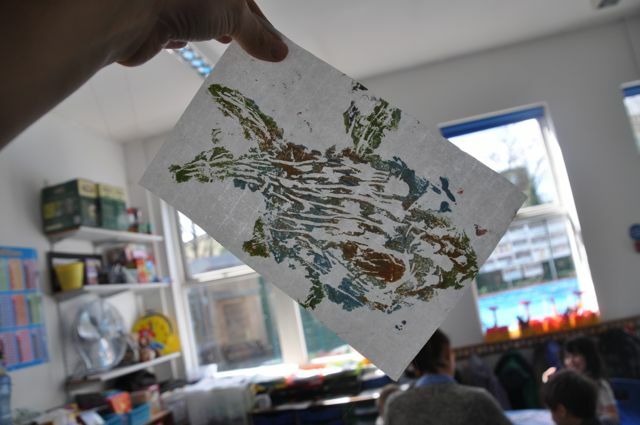 After our prints had dried we cut them out and stuck them in patterns on to the prepared backgrounds from yesterday. 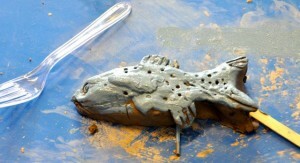 For a reminder of how we made these click HERE. We showed our work in the hall alongside the work from the older children. 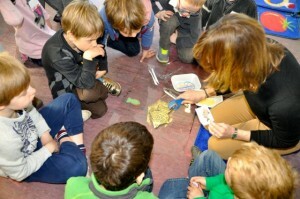 Our parents came to see.